Today, I'm giving a presentation about being a cartoonist to a few classes of middle school students! It's the first time I've ever done something like this, and I am simultaneously excited and terrified. I've rigged up an effective but completely ridiculous looking system so they can watch me draw -- all I needed was a projector and screen, a laptop, a webcam, an old tripod stand from my convention banners, and a lot of duct tape. Just watching me set it up is really a piece of entertainment in and of itself! 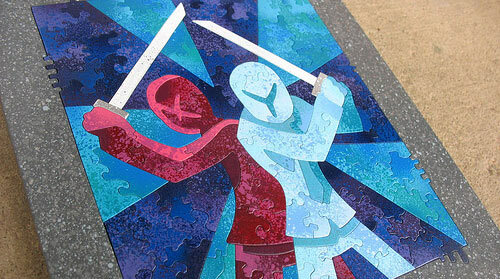 Chris Yates' gorgeous one-of-a-kind X & Y Baffler puzzle is now up for grabs! Man, I had so much fun working with Chris on the design. I couldn't be more excited about how it turned out! And the best part is, the buyer who scores it will be helping to support two independent interwub artists at the same time. That's efficiency, buddy! Just a reminder, team... the incredible Chris Yates has put together some incredible webcomics Baffler puzzles... including this gorgeous one-of-a-kind X & Y extravaganza. It goes on sale late today at exactly 4pm MDT... first person to jump on it gets it! EDIT: OK... it's go time! Guys, check this out... I gave Chris Yates some X & Y art, which he transformed it into one of his famously gorgeous "Baffler" puzzles! 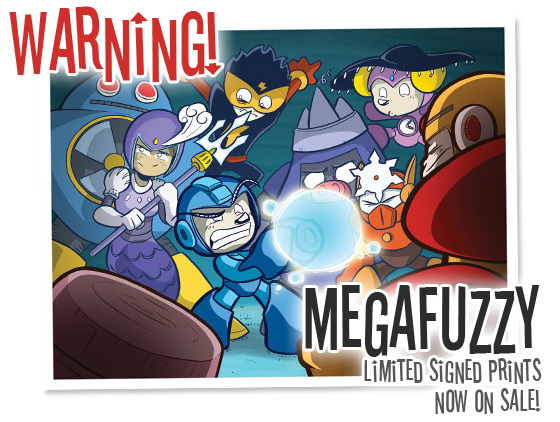 He'll be putting it up for sale on his site on Monday at exactly 4pm MDT... first person to jump on it gets it! They probably just don't know! The Buddy Bear toy line never actually made it out of Hope Springs... the units turned violent and the town was sealed off all before they ever even went on sale anywhere. I'd like to think that, if they did know, they would have been more reluctant to give Sin the licence to make Teddy toys. After all, no modern company would ever risk releasing a dangerous toy... right? Ah yes... my infamous 24 fandom! But to be honest, the end of one of my once-favourite shows didn't have much of an impact on me... unfortunately, it had gotten bad and repetitive enough that I had already willingly given up on watching it before it was even cancelled. Not that it was the world's most wildly consistent show to begin with! (Amensia? Cougars?) But for awhile there, you could always count on the high points being high enough to be worth sitting through the stupid ones. I like to think of Season 5, with President Logan and evil Robocop, as being the year the show fully realized it's ridiculous soap-opera-with-explosions potential. It was all downhill from there. These days, I've mostly been watching Mad Men, Venture Bros., The Wire, Weeds, and Farscape (which yes, I am only finally watching for the first time now). I don't really watch must "live" TV, though -- just season sets -- so I'm never really up on much of anything that's actually airing right now. No wonder I don't do a lot of pop-culture jokes! No! I'm afraid the truth is much more embarrassing. 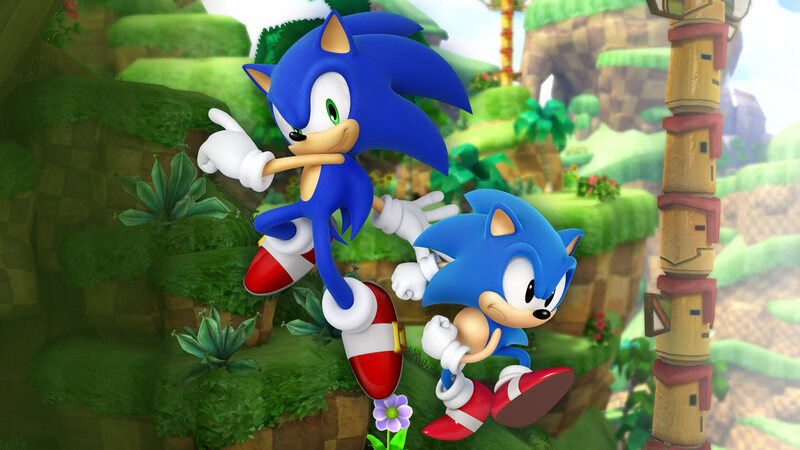 My current desktop is... this Sonic Generations wallpaper. Which I composited myself in Photoshop from two other images. I never said I was cool.